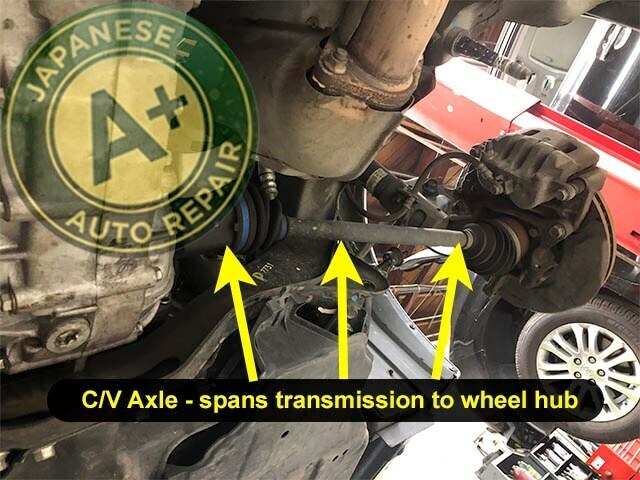 San Carlos CV Axle Repair - A+ Japanese Auto Repair, Inc.
A CV Joint or CV axle refers to a (C)constant (V)velocity joint or axle on most front wheel drive cars. More and more vehicle are also using CV axles on the front and rear axles due to their flexibility, smooth transfer of power, and weight reduction. The CV axle is a part that attaches your vehicle's wheels to your transmission or transfer case. There is typically a CV joint, covered by a rubber or silicon cv axle boot filled with grease, at both ends of this axle shaft. At the ends of the cv axles, there are spines that fit into the wheel hub and the other end fits into the transmission, transfer case, or differential. How do CV axles work? CV axles are designed with the cv joints at the each end in order to move in any direction while the axle and ultimately your wheels are spinning. This CV joint allows for power to be distributed to the wheels evenly while the vehicle is negotiating bumps, turns, hills, and all over road hazards. CV joints are primarily used in the drive shafts of front-wheel drive cars. Due to bumps in the road and uneven road surfaces, a car's wheels tend to move up and down continuously while moving down the road or freeway. As a result, drive shafts cannot be made up of a solid shaft. The joints in the drive shafts need to account for the bumps in the road and the back-and-forth motions of your vehicles steering system. 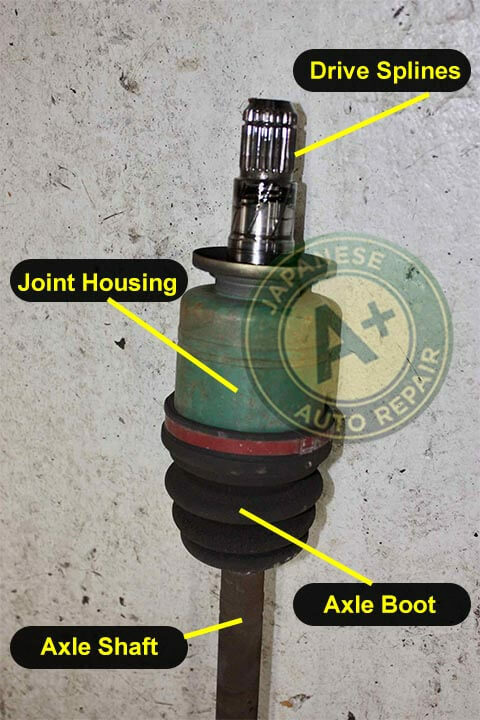 The CV joint is used in front-wheel drive cars because of its ability to maintain a constant drive force for the wheels accommodating for different kinds of movements in the suspension of the car. What does a CV axle look like? How do I know that my CV axle is bad? CV axles should be inspected periodically because they contain components that wear. A CV joint is covered with a rubber boot that tends to deteriorate over time or can be damaged by road debris. 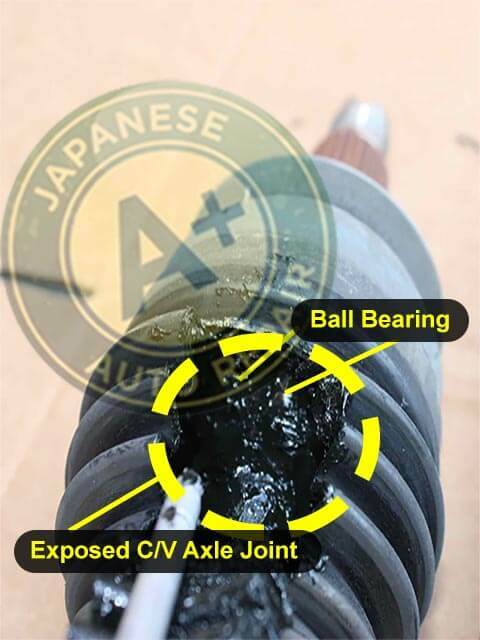 At A+ Japanese Auto Repair the most common issues we see with a CV axle is a torn or leaking CV axle boot. When a CV axle boot tears open or cracks all the way through, it quickly expels the grease lubricating the joint. The expelled grease sprays under the vehicle and around the wheels involving some heavy duty cleanup. In some cases, we have witnessed in our service bays CV axle grease being spun onto brake and suspension components. Also, when the boot tears the CV joint is left exposed to the elements with no lubrication. If the CV axles are inspected periodically, torn boots can be replaced as needed, potentially extending the life of the joints and CV Axle. As you can see in the picture on the left, there are many parts moving in different directions in your CV axle. The CV axle is spinning just as fast as your vehicles wheel spins and moves up and down with all the bumps, potholes and dips in the road. This is one part that takes some serious abuse and rolls with it! What happens if you have a bad CV axle? A bad CV axle can give your car a wobble at high speeds, clicking around turns, or if it breaks, a bad cv axle will leave you stranded and your vehicle won't be able to move. How much does it cost to replace a CV axle? 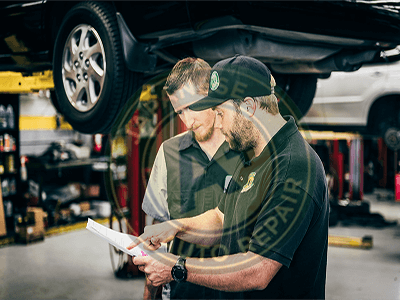 The cost of replacing one CV axle can range from $250 to $1000 depending on what needs to be removed to gain access, how new the vehicle is, and if the axle is new or rebuilt. Axles have become a common rebuilt/remanufactured part by part suppliers. Since suppliers are rebuilding/remanufacturing these axles a client can now get an axle that has new joints, boots, bearings, and any other worn parts which is typically more cost effective than changing a torn boot. Should you replace both CV axles at the same time? You don't need to replace both CV axles at the same time. You would want to replace both CV axles at the same time if both axles are noisy, both rubber joint boots are cracked, both axles are losing grease, or both axle joints are bad. 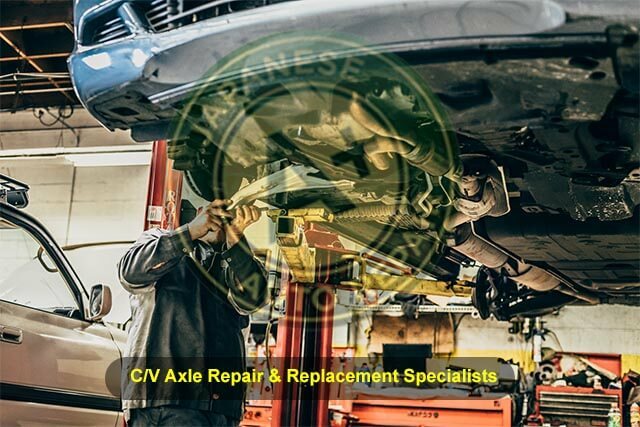 A C/V axle replacement job can range anywhere from 1-4 hours depending on which side of the vehicle and what type of vehicle is having the C/V axle replaced.